Are you hosting and event with a large group of people? Trying to figure out what to serve that will accommodate everyone? Who’s vegetarian, who’s vegan, who’s gluten free? 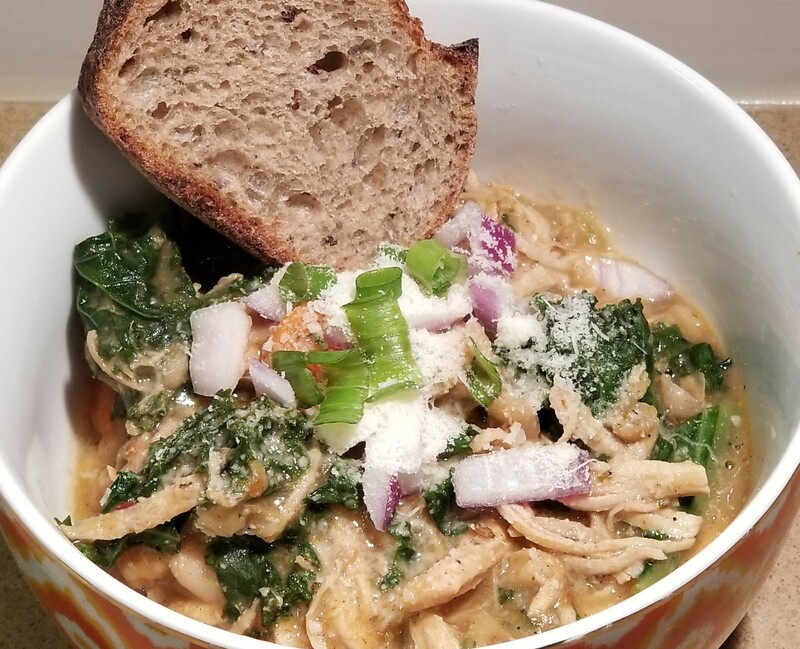 …if you want to make sure everyone is covered try this White Bean (Chicken) Chili. You can easily make 2 batches, one with chicken for the meat eaters and another version without, using vegetable stock. It’s super healthy, super delicious and accommodates everyone’s dietary needs. 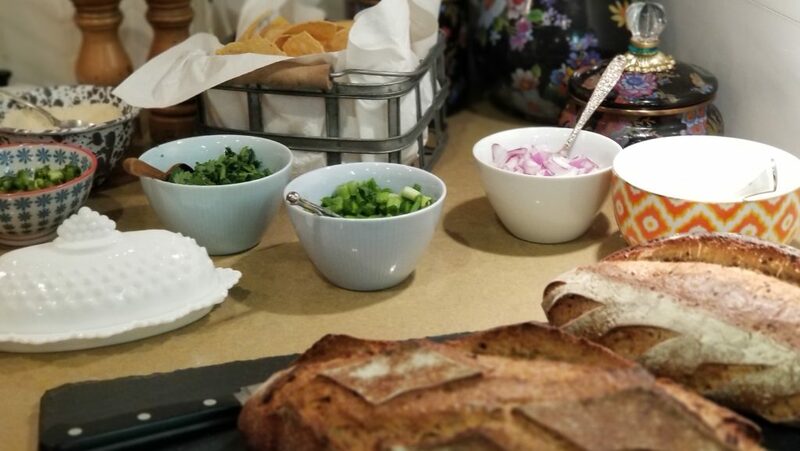 Warm some crusty bread and set up a fixings bar…dice up jalapeno peppers, red onion, scallions, parsley, sour cream and let guests add the toppings of their choice…sprinkle with parmesan cheese…your all set! In a large pot or Dutch oven, heat the oil over medium-high heat. Add the onion and garlic, carrots and cook for about 5 minutes. Add 1 teaspoon salt, cumin, fennel seeds, oregano, and chili powder and stir. Stir in the flour. Add beans and chicken stock. Bring the mixture to a simmer, scraping up the brown bits that cling to the bottom of the pan with a wooden spoon. Bring heat up to a boil. Add the chicken breast and continue boil for a minute. Bring heat down and simmer for 55-60 minutes until the liquid has reduced by about half and the chili has thickened. Pull the chicken breast apart to shred it. Add the red pepper flakes and simmer for another 10 minutes. Season with salt and pepper, to taste. If you are doing a vegetarian version follow all the instructions above, just skip the chicken. This recipe is heavily adapted from Giada De Laurentiis version from Food Network.